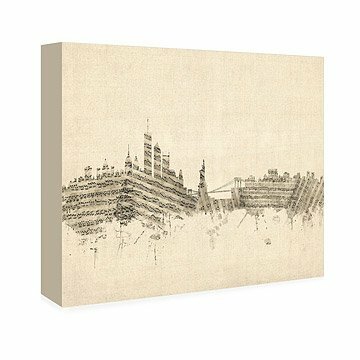 This print combines favorite cityscapes with musical notation. Click here to see the Musical Skyline Art - Large. This was a moving away gift for my piano instructor. It was beautiful. This print on canvas looks gorgeous in my bedroom. The product looks exactly like it's pictured. The quality of the canvas is great and I love the artwork. Thank you for a great piece of art.